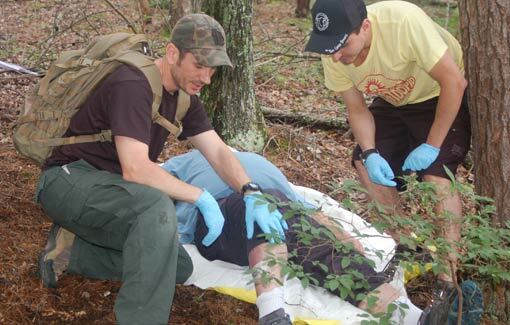 Students learn in-depth wilderness first aid skills and priorities of injuries. Learn practical hands-on treatments for basic wounds, heat and cold injuries, common injuries such as sprains, strains and abrasions to burns, dislocations, fractures and spinal injuries. Learn to select and assemble your individual first aid kit (IFAK). Students leave this course prepared to administer first aid on yourself, family members, friends or strangers. Never enter the wilderness without being prepared to help others.